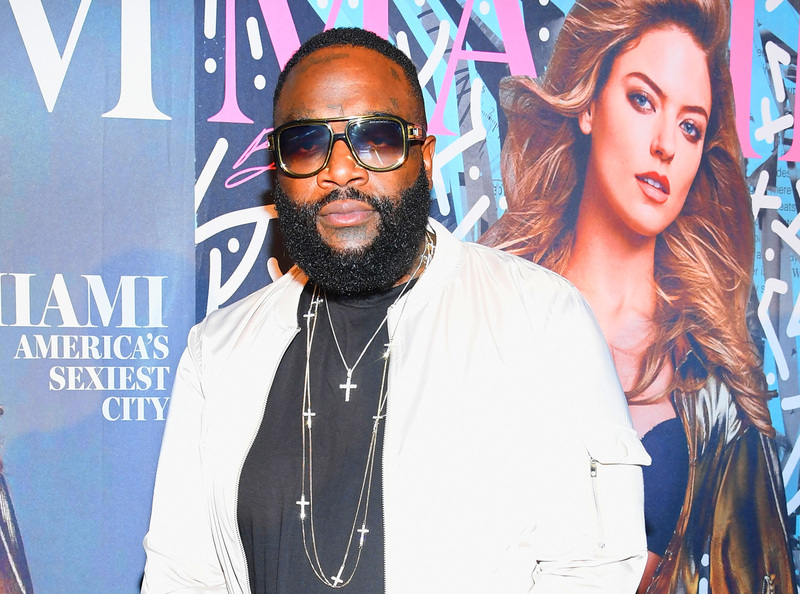 Emergency officials rushed to Rick Ross’ home in Davie, Florida, for a medical emergency shortly after 3:30 a.m. on Thursday, March 1, the Davie Police Department confirms to Us Weekly. According to a dispatch record obtained by Us, someone called 911 after the 42-year-old rapper, who has a history of seizures, was found unresponsive and breathing heavily. The unidentified caller tried to wake Ross up and noticed that he was “slobbing out the mouth,” police tell Us. Ross became “combative” with the medical professionals, according to the dispatch record. The 911 caller said the Grammy nominee was just “nodding his head” and also “boo-bood on himself,” though it is unclear what that means. TMZ reported that Ross was transported to a local hospital by ambulance and is receiving respiratory treatment, possibly for pneumonia. However, an unidentified family member strongly denied to the website that the entertainer was hospitalized. Us Weekly has reached out to Ross’ rep for comment. Ross, who weighed 350 pounds at his heaviest, told Men’s Health in 2016 that he lost 75 pounds after making some lifestyle changes in the wake of his seizures.